Bindle (n.) – a bundle, usually of bedding and other possessions, carried by a hobo. I’ve been wandering this world for nearly a decade now — four continents, no career, no money, and a growing bindle of beautiful things. So I’m putting together something, a collection of somethings; some will be mine, the rest will be what I love. I expect it will largely be music and writing. Stick around, spend some time with me, roll your eyes at my self-indulgence. Anything could happen. This life is wild and full of wonder; I hope to reflect that, here, with you. 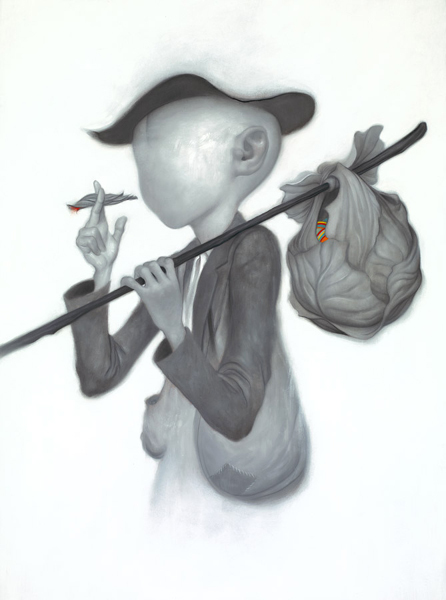 Picture is “Bindle” by James Jean. Thanks, friend. That really made me smile.